We believe that world-class fitness training can be available for everyone. That is why we are excited to offer special events and promotions throughout the year. But its more than that… we believe in giving back to the community, to providing classes like Yoga for Parkinsons to address specific needs, and to helping charitable causes through the Pan Mass Challenge and Pedal to End Cancer. We’ve recently added new capabilities to our studios: TRX Suspension Training, and Iyengar Rope Wall Yoga for small group training. Check out both on our Personal Training page. Keep an eye on this page – we are always finding new ways to introduce members to our studios, to save you money, and to help others. 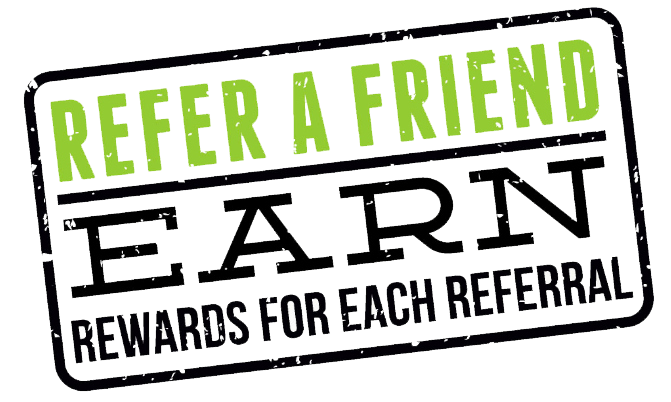 Refer a friend. Get a $25 reward for you and a $25 reward for your friend. Simple. If you don’t already know about our Referral Rewards Program, here it is. If you refer somebody new to our fitness center, and they sign up for a membership, you’ll receive a $25 Gift Card towards your next membership. Plus, there’s something for everyone:… your friend receives a $25 Gift Card towards their next membership as well. How do you get started? Forward this email to your friend, and they can click the image above. Or ask your friend to go to the EBB Member site and click on ‘Request Info’ where they fill in their name and, email address., Be sure to ask your friend to type and put your name in the ‘Who Referred You’ box. As soon as they sign up for a membership, we’ll apply a $25 Gift Card to your next bill and to their next bill! If you love the EBB experience and want to share it, this is our way to thank you for sharing the love. More members means more class times and programs, more equipment, and more opportunities for everyone! Can you refer more than one friend? You bet. Refer as many new friends as you like. 1 Referral Rewards at Every Body Balance are only available on 10-Class Passes, Monthly or Annual Memberships, or PT 6-packs. Your friend can start with a drop-in or 5-for $50 (which don’t qualify for rewards), and if they then purchase one of the listed membership within 3 months, you and they get the reward. 2 Please note that this offer is only valid if your referral is new to our database at the time of inquiry AND if they list you on their initial inquiry form before signing up for any class or membership. You cannot claim a referral if the person is already in our database. 3 You must be a current member at Every Body Balance with one of the listed memberships, and your account must be in good standing to qualify for Referral Rewards. If you cancel your membership prior to your credit being used, you forfeit the reward. Referral Rewards cannot be redeemed for cash. 4 You can refer more than one member at a time. After your first Referral Reward, additional rewards will be applied to future bills with a limit of 2 Rewards ($50) per bill. So if you refer 4 new members, you get $100 credit spread out over your next 2 bills. 5 If you don’t see the credit on your account within a week after your friend makes their purchase, please contact brian@everybodybalance.com. 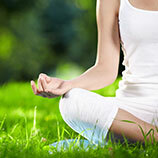 Here are our current fitness specials; check back from time to time! Buy for yourself, or for others to introduce them to the gift of fitness!